Finished boosting your Adobe Reader? Now it's turn for Photoshop. It's obviously the market's most powerful image editor software. But one thing: it's also one of the heaviest software in the industry. 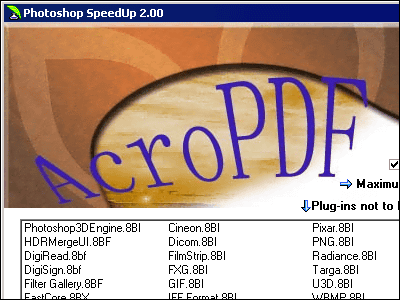 This "Photoshop SpeedUp" is another optimizing software for Adobe Photoshop. Some features are originally provided, but still this software enables you an easy tweak on your Photoshop. 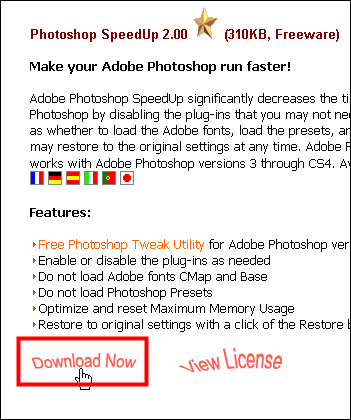 Read on for a download link and actual usage. Now click "Download Now" to get the software. Double clicking will boot the software. No install needed. Change language preference on upper-right icons. Just click "Optimize". This will make your Photoshop read only basic plugins and fonts. Now click "Yes" to see the result. Click "Restore" so the setting will be invalid. 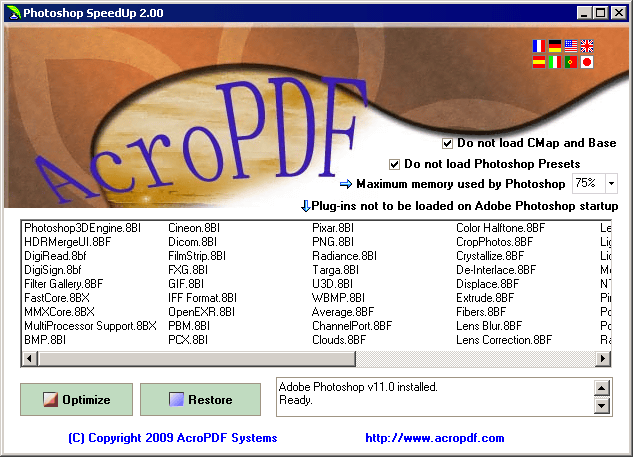 Click "Yes" for former Photoshop. If you want specific plugins and modules to be protected, choose them by right-clicking and "Remove from LIST". They will remain. So here's the change. There are 19 "Filter" menu, before optimizing. After optimizing. 9 items are left. Items inside an item are also re-organized. Let's see saving fortmat. There are 11 items in the pull-down menu. 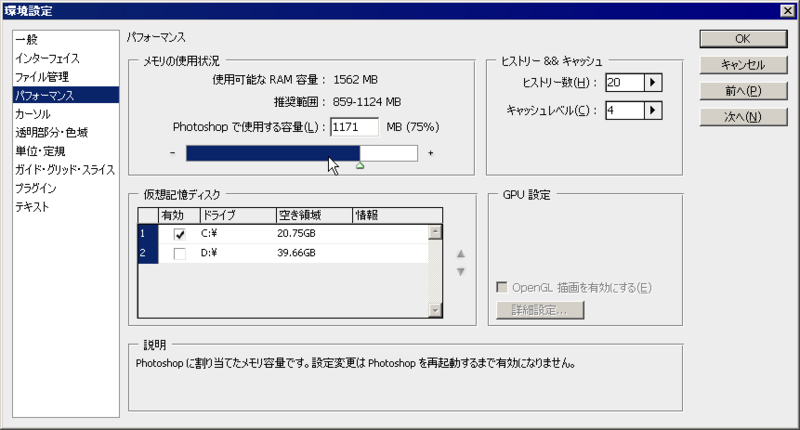 You can also set maximum memory used by Photoshop here. But Photoshop menu also has this setting. Choose whichever you want.